Green Economy publication has won a Platinum Award at the 2015 Hermes Creativity Awards for the Best Publication on Green & Circular Economy. 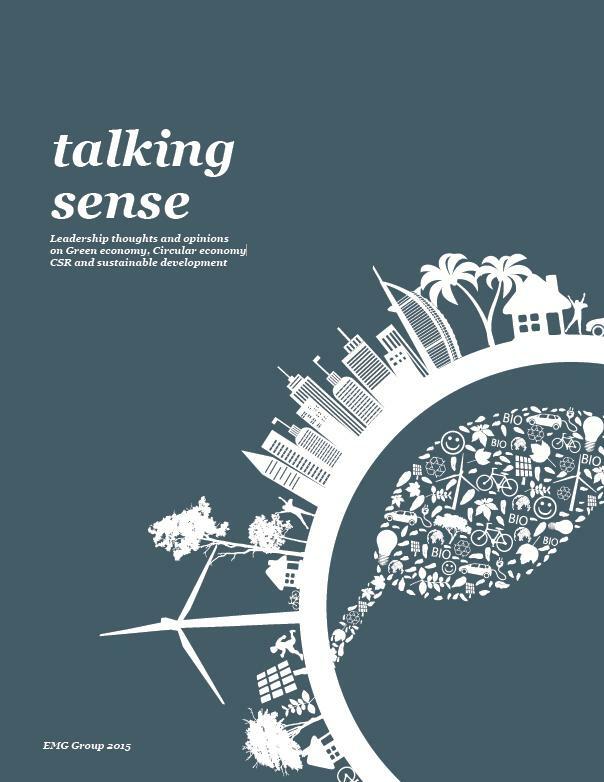 EMG presents a new series of Green Economy publication: Talking Sense. 17 Sustainable Business Innovations and CSR Thought Leadership interviews with clients and other parties in our network with the goal of inspiring more people about the benefits of integrating corporate responsibility into profitable business. The interviews include executives, senior government and NGO officials, prominent financiers and heads of CSR for some of the world’s largest multinationals. 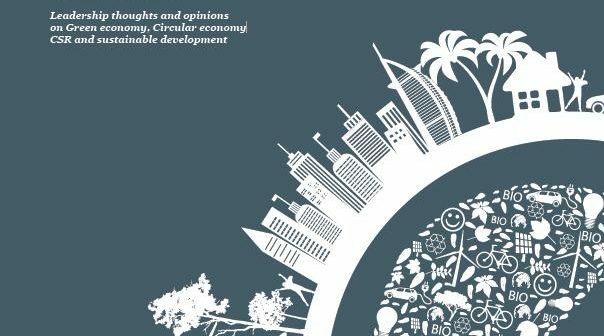 This Green Economy publication is a CSR initiative of EMG to inspire more people about the benefits of integrating corporate responsibility into profitable business. The views and opinions expressed in the articles are personal and should not be viewed as professional advice with respect to your business. EMG and its logo are trademarks of EMG Group. The use herein of trademarks that may be owned by others is not an assertion of ownership of such trademarks by EMG nor is it intended to imply an association between EMG and the lawful owners of such trademarks. All rights reserved. © 2015.